… extract and analyze specific stainings or objects in 2D or 3D ? 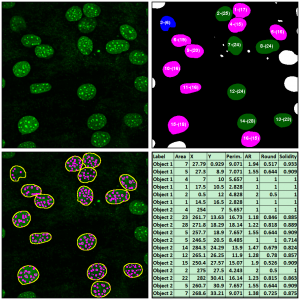 … quantitatively analyze fluorescence intensities or histological sections ? … track and analyze moving objects in 3D or 4D ? 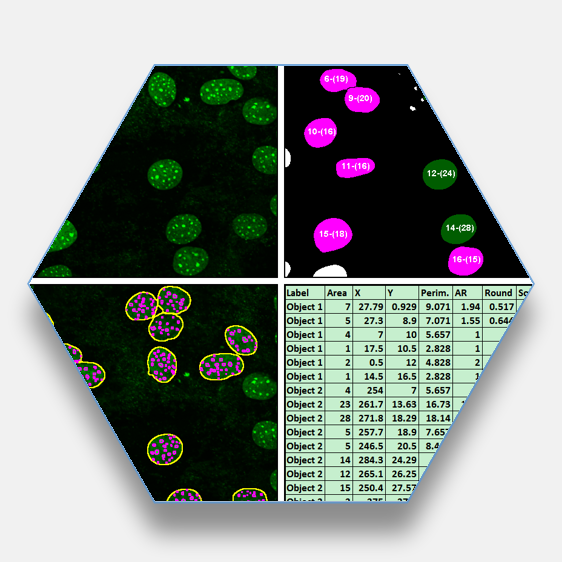 … automate image processing and analysis for medium or high throughput ? … get a piece of customized software for your in-house image analysis ? … individually train your staff in efficient image analysis methodology ? … consulting regarding image analysis and related experimental design ! … customized and automated solutions for your image data ! … programming service to develop a tailor-made analysis software ! … support to adjust BioVoxxel software to changing conditions ! … development of specific SOPs for image processing and analysis ! … highly didactical individual training on specific chosen topics ! Choose BioVoxxel as your partner !